Walking to the post office this bright, sunny morning in Nashville, I was overcome by the intoxicating lemony scent of huge Magnolia blossoms, most of them bigger than my face, sending their Power of Wonder to my heart. Power… it is granted to all creation to do the one thing we were all created to do, which is choosing to do good, to all we encounter. The Magnolias are doing a fabulous job of it! Our lives, a fragrant offering. Powerful! I want to be someone that uses the God given power I have, to be kind, tenderhearted and forgiving. I want to encourage others and give them hope. I want to be a powerful witness to the glory, beauty, welcome, mercy and comfort of Christ. Power. We all have it! She was smiling ear to ear as we both laughed and she proceeded to find a discount coupon for a dollar off on the Father’s Day cards I was also purchasing on a separate transaction. A pleasant Power Exchange! Small gestures of caring kindness transformed our interaction into a lovely sharing of friendship, well wishing for a glorious day ahead and… hope. Yes! Hope that we can choose to use our power to do good, to all whom we encounter along the way. It is no small thing. Which is why, when I choose to withhold it, this power to do good, I am cheating myself and all creation of experiencing the beauty of God. And that is tragic! One of my favorite meditations in all the world is one from Mother Teresa, who encourages me to never resist the inclination to share kindness and good towards others. Power, to give away, with no expectation of return, but yet, receiving the life changing blessing of giving. Yesterday a dear, gifted young friend of mine, Kate Tucker, came for tea. We were discussing our hopes for lives well lived and I shared with her that recently an old man sat on the garden wall overlooking our balcony, selling his little blue books of personal poetry. I vowed next time I saw him, I was going to go out with a glass of cool water, sit on the wall next to him and ask him to read a few of his favorites to me and buy his book. In glancing up from my computer I see that he’s sitting there, right now! It is a wondrous way to live! Laurel is a singer, songwriter, mentor, teacher, wife, mother, and birth/labor coach, church planter, actress, dancer, writer, producer, crew member at Trader Joe’s Nashville, and founder of “Finding Hope,” a Skype-based counseling/life coach/mentoring program. 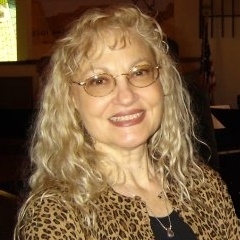 As a follower of the teachings of Christ, Laurel has made it her life goal to welcome, encourage and walk alongside others on the journey of discovering lasting hope, speaking truth in love, celebrating the wonders of life, love and JOY of living, in working together on this amazing planet of ours with grateful and peaceful hearts.